2 vendors have this plant for sale.116 members have or want this plant for trade. Finally I am glad to discover "naked ladies" have other names ! My dear mom-in-law loved them and would direct us to see them in her area of mid Wisconsin. Imagine my surprise when we discovered them growing in south Georgia a few miles from our retirement house. They are growing in incredible profusion this season.. early Spring is the best here. Their favorite spots are in low ditches by highways. Those areas hold water but drain nicely. The sunshine warms them between the raised highway bed and the forest growing a few yards away. This year, 2019, there are thousands of blooms. We look for them there each year but this is the most in 14 years. 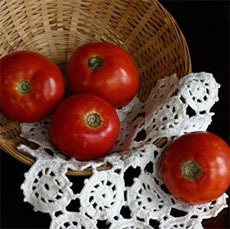 They have naturalized well. I live in Lakeville Minnesota (zone 4) and received this bulb over 8 years ago in a package of Peruvian Daffodils. I didn't get a peruvian daffodil but I did get a beautiful Naked lady. It has bloomed each year and the clump keeps expanding. I have never done much for protection but I love the amaryllis type blooms. I recently shared bulbs with a neighbor and hope they enjoy the success I have had with them. So my naked ladies greens are coming up in the various gardens. These flowers look so much better in a mass, and I unfortunately planted them separately here and there. I read that one has to transplant them in the autumn..but heck, I can't find them then because there's nothing left of the plant by then. Will harm come to these if I carefully dig them up now (with fork) to put them together? I was given a surprise lily by a friend and was told to plant it in shade or partial shade. I now have many plants in this location and several elsewhere. I live in Iowa with cold winters and I wait patiently for these to bloom. I have cut the blooms and put in water, love the smell. From what I see that everyone else is writing, this is a very versatile plant! Billings, Montana area, zone 4... it surprised me, all right. House sat empty and neglected for 3 years before we got it, so it dates back to before that. Last March it grew a big clump of leaves that died back by June, and that was the last I saw of it. This year it did the leaves again, died back, and suddenly now in mid-August it's sent up 7 big flower stems and is blooming like crazy. The spot it's in gets VERY hot and dry in summer (only other thing that will grow there is bearded iris, and hyacinth in early spring; during summer everything else struggles). This is supposed to be a tender bulb not hardy past zone 6, but no one told it. Two winters ago it was -30F here. It leafs up while there's still snow on the ground and getting hard freezes every nigh... read moret. Next year I think I'll try spreading the offshoot bulbs (the mature bulbs are huge, 4" across) to other problem spots where nothing wants to grow. I just came across this article and am happy I finally know what this beautiful flower is! As I was tidying up my spent daffodils last spring, I noticed a clump of daffodil-like leaves poking up about 12 in. They were a little wider and thicker than daffodil leaves, and still green. They are against the foundation on the shady side of my house--behind my peonies! I have no idea where they came from. Later in the summer I noticed beautiful pink blooms, just like the picture! I found the green leaves again this year and am anxiously awaiting the blooms. After the blooms are spent, I'll move them to a sunnier place where they can be enjoyed. I live in Los Angeles and I have purchased a clump of bulbs from a local house sale. In mid summer the long stalk produces a fragrant pink flowers that resemble lycoris squamigera however I suspect it's likely a hybrid because the leaves that come out before the bloom are much wider leaves than the typical strap leaves that are fairly even width similar to amaryllis belladonna or agapanthus (plus the flowers are not as symmetric as A. belladonna). I think the leaves are more like crinum leaves. Additionally the bulbs are really large (larger than softball) and after the leaves die back the bulb's dried stalk protrude out of the ground many inches. I wonder if the above description describes any variety? If you dig up an old stand, the bulbs will be from 4 - 6 inches deep in Zone 5. Not on the surface and not partially exposed. The bulbs should be planted about that deep according to knowledgeable sources and mine growing them for 20 + years. Further, many bulbs near the surface (or even not so near) can be eaten by animals including deer. This past season, deer ate ~ 1,000 of my tulips. Many rural type gardens such as Powell Gardens near Kansas City no longer plant them for that reason. These comments are addressed to the Naked lady discussed here. Other types of Lycoris may benefit from a different planting depth. Received mine in June and I had 2 bloom in August. One even has seed pods on it. With all the comments requesting patience for Lycoris owners, I can't wait to see what happens next year! I did plant mine so that the neck of the bulb was poking out of the ground and that seems to be a good depth. These do not like disturbance. 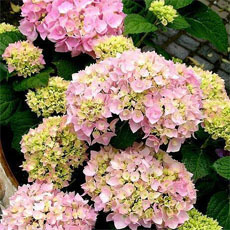 If overcrowded, they're best divided in June when the foliage dies down, and replanted immediately without allowing the bulbs and roots to dry out. 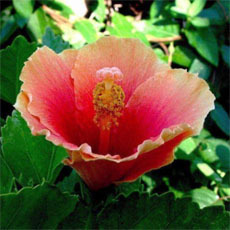 Buy your plants fresh in June if you can, and plant them as soon as possible. That's what I did this year, and four out of five bulbs sent up flower scapes in August. I've read that the bulbs should be shallow planted. Even in the north, the top of the bulb shouldn't be covered by more than 2 inches of soil, or the bulb will re-form closer to the surface. Commercially available bulbs dried out and sold in the fall may take more than one season to recover, and may not even send up foliage for a year or two. Patience will be rewarded. There are two differ... read moreent bulb species called "naked ladies", and they look very similar, but differ substantially in hardiness. Lycoris squamigera is hardy to z5/6. Amaryllis belladonna can be hardy in Z7. Amaryllis belladonna has its petals (tepals) evenly spaced; its leaves are glossy, bright green and have pointed tips. With Lycoris squamigera, there's a gap between the "petals" at the bottom; its leaves are matt, gray-green and have rounded tips. I planted these March 2013 and pretty much forgot about them. August 1 I found them popped up, and opening... very pretty. They definitely surprised me. As a member of a small choral group which practices Friday, I mentioned to my group that I noticed three naked ladies in my yard that morning as I was leaving for practice. The director paused then asked me "... and you came here?..." There's one other house on my road. As I was passing by it, I noticed that there were many of these just like the ones in my yard, new. This is USDA Zone 6a, and neither bed is full sun... in fact, quite shady for both beds. My bed has 5-year old bark mulch in the uppermost layer, and just local dirt below. The funny thing was that I bought bulbs from a store and the package must have been mislabeled. I planted what I thought were "other" bulbs. Nothing happened so I thought They must have rotted and were ruined. The next year I got these green leaves that shot up -but I thought they were from the plant next to it which was Lily of the Nile. Then all the leaves turned brown and withered away-I thought my landscaper used round up thinking they were weeds! I actually fired him because it was the second time in 2 years that happened but it did not sprout last year! Once I cleared all the dead leaves away the 2nd time -about a month later I saw all the sprouts come up. They grew quickly! They smell great! I hope the multiply! From the time I planted bulbs to actual flowers was about 2-1/2 years! ... read moreSo they WERE a surprise! Surprise lily was most definitely a surprise for me. It took 8 years to bloom! I didn't give up on them b/c from the very first season, I would get healthy foliage but no blooms. I made it a point to get bulbs from different sources in case bulb quality or maturity was an issue. I don't think so. Just didn't feel at home in my gardens until now. Go figure. Like so many others, I was unfamiliar with this plant but was pleasantly surprised when it came up "out of nowhere". We had only been in our new home for about a month when I saw the ground "break" in several areas of a flower bed. They grew so quickly, I felt as though if I sat long enough I could see them grow! Even my husband, who usually doesn't pay attention to this stuff is in amazement and pointed them out to any and all visitors! 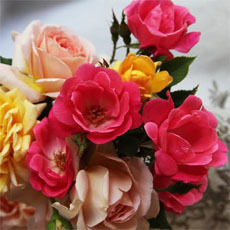 Beautiful flower, beautiful scent, beautiful experience! 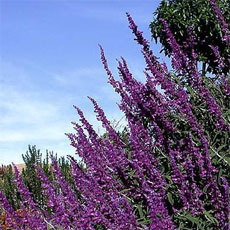 It is now early March in southeastern New Mexico and the leaves of this plant are about 14 to 16 inches tall. It will be interesting to watch the progress of this wonderful plant. Surprise lily grows in the courtyard at the University of Minnesota Biological Sciences Greenhouse. I haven't been around in late summer to see it bloom, but it's probably this species. This spring, it began to come up during a warm spell in the middle of February, then got frozen twice before spring finally came. Several clumps are next to the tropics room, which is set below ground level and keeps the soil particularly warm. A friend from a Church in Monticello, Illinois gave me over 100 bulbs to plant in Medina, NY. 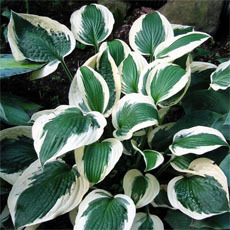 I gave some to my siblings and the rest were planted all over in my Hosta bed, and I believe that everyone one of them survived the Winter - over 4 feet of snow on top on them at times. Some bloomed the first year, most did not. But this year - 2011 should be a banner year for them. The scent was fantastic on the ones that did bloom - nothing like it, better than lilacs. When I moved to Wisconsin several years ago, I was saddened when I learned that "Naked Ladies" were not supposed to be hardy in zone 4a. Ha! I have always pushed the zones, and this is a plant I was going to work with until I could find the right micro climate in my garden. After years of growing them here in Eau Claire, I will have to say that I have had no problem with them anywhere I place them, so long as it is sunny. I will say that I used a bit of advice I had read in a garden magazine even before I moved to the "Frozen Tundra," if you want blooms, KEEP THEM DRY! Excellent drainage is the secret. When planting this far north and in this occasionally rain soaked environment, use twice as much perlite and sand as you think you might need. Also, it does not hurt to plant a bit deeper. U... read morenless you use materials that provide good insulation to the sides (eg. old railroad ties), I do not think a raised bed will help because of the need to keep the bulbs warmer. Finally, when summer comes, do not water at all. 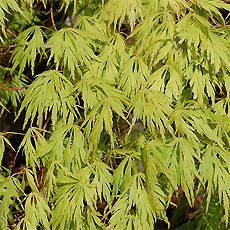 After the leaves have died back, they will have received all the moisture they need for the year's blooms. As I write this in the early days of August (in one of our rainiest summers yet), I have the first of several clumps blooming like crazy, even though I had thought this might be the first year of no blooms due to the high moisture level. Like I said, more than excellent drainage will produce blooms for those that want this wonderful plant in zone 4. This plant truly lives up to its name of "Surprise Lily"! Late in the summer it appears and year time I see it I am totally surprised. She's a beauty. My daughter found a pile of them about 4 yrs. ago. washed up against a tree in the woods on the other side of our creek, the Manatawny in Pottstown, PA. We dug them all out, 50 total, and I planted them all over my property not knowing anything about them accept seeing them on other properties in the area. I found they like good soil and drainage and water. And boy do they smell fabulous. I was told at that time by a friends horticulture friend that they are worth about $8 to $10 a piece. However, not all mine were full grown bulbs. As of currently, it hadn't bloom for me for four or five years - and to add a note, the other genus that also contain the name surprise lily or resurrection lily is not hardy at all in zone 4 so if you have any in zone 4, it will almost alway be Lycoris. I received about 8 bulbs from a neighbor many years ago as we were getting ready to move, so I planted them at our new house in a corner of the perennial border on the patio. This is a very sunny spot that gets a lot of water and they have done beautifully, a great show every year (blooming now, mid-August) and lots of expansion. A couple years ago I moved some of them to a new location, also very sunny but not as much water, and they have done well there too. Now we are moving again to a place with mostly shade - I love these plants, and am anxious to find them a spot they will like at the new place! My residence in the hamlet of Furnessville in the Indiana Dunes has hundreds of these Surprise lilies and thriving in several areas and from full sun to full shade. The shady areas do have the advantage of sunshine in the early spring before the tree foliage appears. The soil here is sandy as the house rests on the Glenwood dune, the ten-thousand-year-old former shore of Lake Michigan. I suspect that they have been here since the 40s. The house was built c: 1926 for the naturalist Edwin Way Teale and his wife Nellie Teale. I’ve enjoyed seeing their early sprouts signaling the end of winter since moving in here three years ago. We have lived in this house since June of 2000. Every spring these leaves have come up on the southwest side of the house and died back. Every spring I have wondered what these were from. Finally, in August 2006 up it comes! We were out of town at the time, so I missed the rapid growth and only saw the tail end of the flowers. This spring, there are several clusters of leaves - looks like the bulb split, so I came here to find out when to divide it. Looks like I may be in the extreme north end of its zone. Judging from other people's comments, it may have been planted a little too close to the house - in the dry area under the eaves. I live in zone 4 in westcentral Wisconsin. We get REALLY cold winters, and I have had this plant for about 20 years. Some years we get lots of foliage in the spring and no flowers in August, but thankfully it keeps coming back. It's blooming nicely this year. What a surprise when my husband and I moved into our 40-year-old "new" house and found these (at the time unknown to us) beautiful, slender and smooth "leaves" popping out of every corner of the yard, dying back later in spring, and "oh my"...... NAKED LADIES coming up in the same place just a few months later. It took us an entire year-and-a-half (spring, summer, and spring again) to figure out that they were the same plant! Our local nursery told us that these plants needed dividing (after hearing from me that they didn't all bloom), and since doing so, they've done their "show, "dissapear" and then " Real SHOW" act for us...much to our delight. It's always nice to have a beautiful flower appear in a hot, dry period of summer. They come back faithfully year after year, and ask for nothing in return. The foliage can be kind of a pain earlier in the season though. My information says it is hardy in zones 4-11. Other names I have come across: British Soldiers, Hurricane Lily, Spider Lily. Blooms in August in my garden. The durn things grow when & where they want. But I wouldn't be without them. They grow all over here in and arround Lindsborg, Ks. Just south of Salina, central part of the state. This plant is an old timer in the Shenandoah Valley and central piedmont area of Virginia. You can find it around old abandoned houses and outlining where an old picket fence used to keep animals out of the yard. It is always a pleasure to see them come up in the spring. It delights children because of the "magic" of it's arrival. A friend had these growing in her back yard, they were going to plow them under... so I took all I could dig... hundreds of bulbs! I planted some and gave some to parents. Theirs didn't do well in the sandy soil at the ranch, but mine... now that is a different story. They didn't come up for three years. This year, I had 13 come up in the front, and none on the side. The 13 were so surprising, not there one day, and four inches tall the second day! They are about 2 1/2 feet tall now, six blooms on each stock, and beautiful!! Then I spied one on the south side, just peeking out of the soil... now two days later, almost 8 inches tall!! Water is the key. I think the more they get, the better they like it... definitly a keeper! 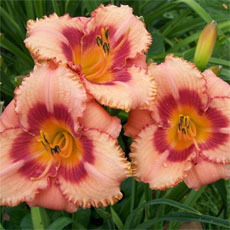 I first ran into "naked lady lilies" in CA on a trip in Aug 2002 and fell in love with the color and way they grew. I've since received about 6 bulbs through a friend of the light pink/white version and two came up this year with flowers, 6 per stem. I was surprised to see them so early (last two weeks in July) since I was told they would not come up until late August. I also discovered they were blooming in southeast Indiana (I live in southwest Ohio), so last weekend, I gathered up my camera and drove through Madison, Clarksville, Jeffersonville and along Indiana 64 to Milltown. Many towns had blooming plants while others were just opening. The display in Milltown at Main and Spencer Rd was noteable. In another week, they will all be gone and no one would know they were there. I have to remember to fertilize in the spring when the foliage is showing in order to get them to bloom in my poor sandy soil, but it's worth it. I moved into a house that already had these planted. I didn't know what they were until late summer. What a pleasant surprise when I saw the pink flowers! They also grow vigorously in the woods behind my house...deep shade! I just divided the clumps up. Some bulbs are 2 inches in diameter. Great bulb to place where you plant annuals because they are invisible after the leaves die back in late Spring. Then the flowers are on a leafless tall stalk when it blooms. Dug some clumps of bulbs from my mother-in-law's and stuck them in the ground at home. They've been doing well for 6 years, now. They get full sun. I've never fertilized or mulched them. They grow along an east-west fence, so get some shelter. I have divided them a couple times. One curiousity: each bulb only blooms every 2nd year. The year it blooms, it makes no foliage. The year it doesn't bloom it makes foliage. Descriptions I've read of this bulb seem to suggest that the same bulb produces both foliage and then, later, a flower stalk in the same year. Mine sure don't work that way. These bulbs should only be divided when absolutely necessary because they sulk and sometimes don't bloom the next year. Lift the bulbs when the foliage dies down in June, and replant immediately. If planted at about 7 or 8" deep, and 12" apart, they will not need divided again as soon as if they are planted shallowly. 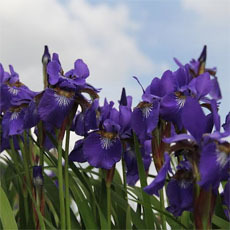 The blooms appear almost overnight (after a rainy spell) and there are no leaves on the plant at the time. Be careful if you have them in your lawn; some people have been known to mow down the emerging blooms. Later note: I divided a patch of these in June, and counted 8 flower stalks coming up in July! This has not been my previous experience. I think it is due to regular watering in the current location. I think mine were planted about 6 in. deep here in zone 6 in Illinois. I planted them behind my smaller bushes and some inback of my foundation plants so when the leaves die back you can't see them. Slow to produce new bulbs. I have seen these bulbs bloom where thrown out on top of the soil - in San Francisco's Golden Gate Park. In California's coastal climate, very vigorous, almost invasive in places.